We are a friendly and thriving choir of over 100 singers, expertly directed by our long-serving musical director Christopher Walker and accompanist Anita D'Attellis. Although we are a non-auditioned choir, Chris's enviable blend of challenge and encouragement enables us to achieve the often ambitious plans and high standards which we set ourselves. 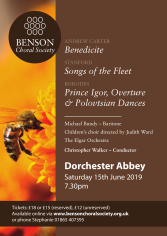 While the standard classics of the choral repertoire remain at our core, with recent performances of the great works by Bach, Beethoven, Brahms, Verdi and Elgar, we always enjoy the challenges of less well-known music. 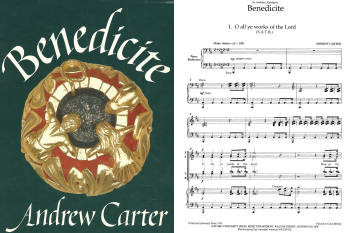 Concerts in recent years have highlighted both the new - Sunrise Mass by Ola Gjeilo, Mirror of Perfection by Richard Blackford - and the unusual - Rio Grande by Constant Lambert, Misa Criola by Ramirez and Dona Nobis Pacem by Vaughan Williams. 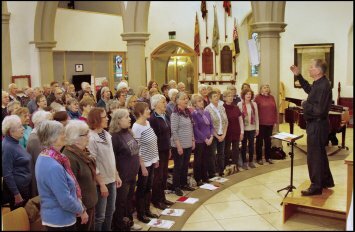 We rehearse on Tuesday evenings from 7.30 - 9.30 pm in St Mary's Church, Market Place, Wallingford, OX10 0EG, with a refreshment break at half time. New members are always welcome and can come and try us without obligation. Details of our concerts for the next season, Autumn 2019 - Summer 2020, will be given here as soon as possible. Make sure you then add the dates to your diary.